Four friends have come up from London, to the island Unst to celebrate a friend’s wedding. The wedding is lovely, and the friend stay up late in the white night, drinking and talking. One of the things they talk about is Perrie Lizzie, a local ghost story. When the rest of the group goes to bed, Rebecca decides to stay outside for a little longer. In the morning she is gone, and Polly receives an e-mail with the suicide note. The body is found in a small loch. But is it suicide or murder? Perez and his team take the case. The 6th Shetland books is just like the rest. Perez and his team, a murder or more, and the beautiful nature of Shetland. The plot is good, the story exciting and the ending very happy. I’m still torn about the fact that the series continued after the 4th book, which was the perfect ending, and I’m actually hoping that this is the last. 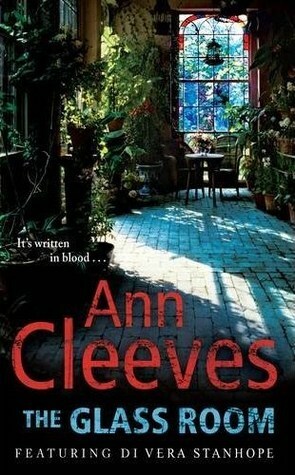 But Ann Cleeves should definitely continue to write crime novels. I’ll read them. On their way home on the Metro, Detective Joe Ashworth and his daughter Jess discover a dead woman in their carriage. The woman is running a small B&B on Harbour Street. The police has a hard time finding a motive for the killing as the victim seemed to have lived a quiet life. But even the quiet ones have their secrets. The sixth Vera Stanhope novel, and this is the one I liked the least. 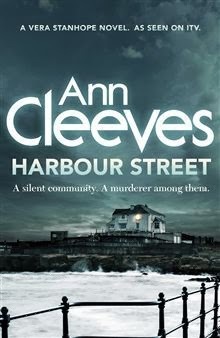 I just didn’t get as sucked in as I normally have when reading Ann Cleeves’ novels. This novel was more narrated by others than Vera, and although it was nice to finally get into Holly’s mind, it didn’t do anything for the story. And the plot didn’t convince me at all. Hopefully the next one will be better, and I have really enjoyed the other Vera Stanhope novels, so read them! And also watch the series. Shetland’s Procurator Fiscal, Rhona Laing finds a dead journalist in the yoal her rowing team uses. The journalist has been hit in the head, but the yoal is clearly not the crime scene. Why was the journalist killed and is it a coincidence that he was put in the yoal? Jimmy Perez is still, six months later, on sick leave after his fiancée was murdered and is just occasionally in the office, so Sandy Wilson is in charge. He, and the new SIO from Edinburgh, Willow Reeves, want him to join in on the case, but Jimmy is reluctant. But as he sees the investigation getting no where, he starts doing research on his own which pisses off the SIO. But there are few evidences to go by, so will the case ever be solved? It was nice to revisit Shetland and getting to meet Jimmy Perez again, although the last book could have been the final one. I’m not a fan of endless crime series, so I was sceptical to this at first, but then I just had to know if Jimmy still was there, so I pre-ordered to my Kindle once I found out it was due. In the beginning Jimmy’s personal and emotional life played their roles in the story, but as the story progressed, the focus shifted more to the case and I wish the personal level would be deeper. I also felt that the end was rushed, and it was hard to get a clear picture. 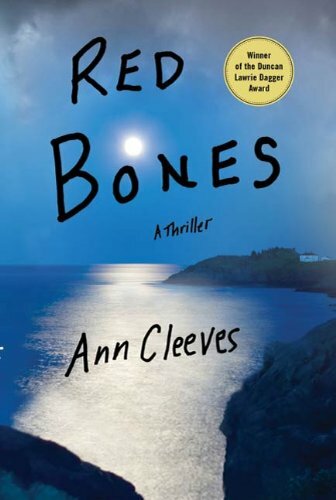 But I really enjoyed the character of Willow Reeves, and I hope that she will continue to show up as I assume this won’t be the final book about Shetland. I also love how much Shetland itself is a big character. And as always, I never guessed the murderer. Meet my newest obsession, DI Vera Stanhope. 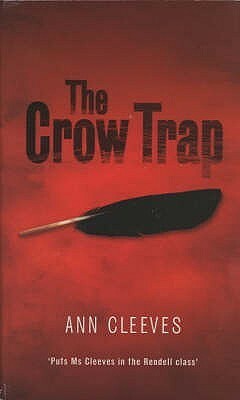 I spent the entire weekend reading the final three novels about her cases. I just couldn’t stop reading, dreaming and obsession. So what is it about Vera? Vera is a fifty-something, enormous woman who couldn’t care less about her appearances and is too fond of food and alcohol. She has never had a man in her life, no children either and she lived with her father until he died. Her father was interested in birds and her great knowledge of nature has helped her in the investigations. Vera definitely isn’t the nicest boss, but she is brilliant. She leads a small team consisting of Joe, Holly and Charles in the Northumberland police. Joe is by far her favourite and he often has to keep Vera company instead of being with his own family. I really liked how he finally got to narrate some chapters in Silent Voices and the Glass Room. 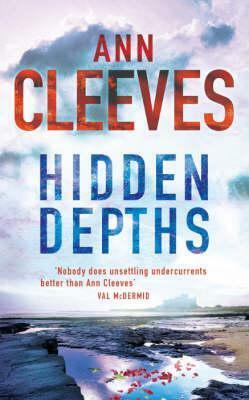 In Hidden Depths Vera and her team has to solve a case which starts with a teenager being found dead in the bathtub and the water is full of flowers. They don’t get much further with the case before a young teacher student is found dead in the sea, and this time there are also flowers in the water. Are there any links between the two victims? Vera has been told by her doctor that she needs to start exercising, so she starts swimming at a local health club. 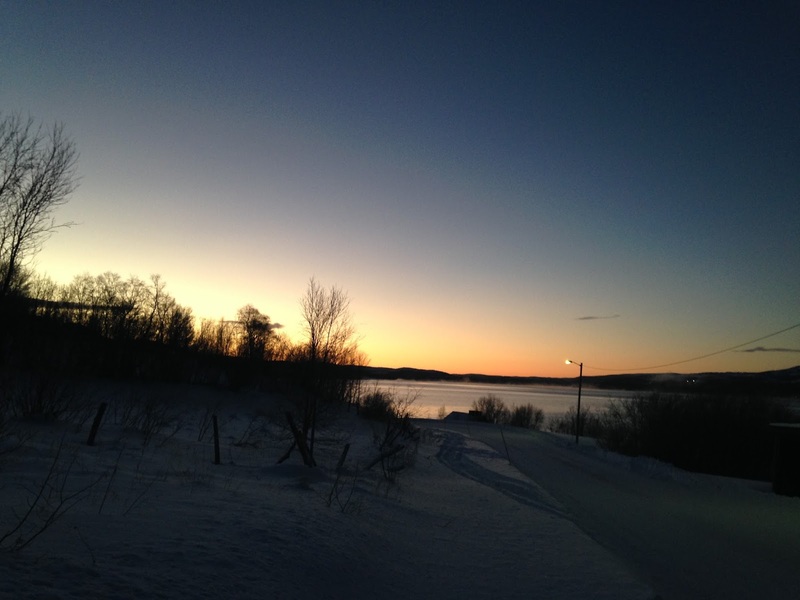 She enjoys using the sauna after and it is in the sauna she finds a body of a woman in Silent Voices. In The Glass Room Vera has tracked down her missing neighbour to a writer’s house on the coast. But once she gets there, a professor is found dead and Vera’s neighbour is found at the crime scene with a knife in her hand. I wish I had more Vera to read, but a new season of the TV series is just around the corner and then there’s the new Shetland book to look forward to in a couple of weeks. 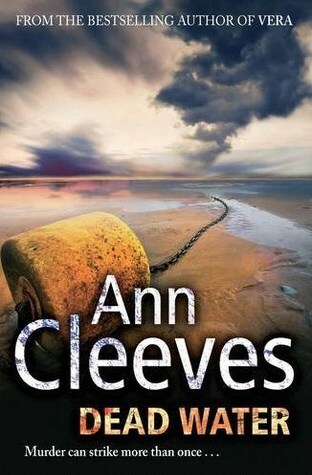 I hope Ann Cleeves is writing a new one about Vera now, as I have really grown fond of that woman. A teenager, Abigail, was murdered and found by her best friend, Emma. The girlfriend of Abigail’s father, Jeanie, was convicted for the murder, but claimed her innocence until the day she hanged herself in the prison cell ten years later, not knowing that a witness had just come forward and the case was to be reopened. Vera Stanhope is sent down to Yorkshire to look at the case with fresh eyes. My second meeting with Vera and it was definitely much better than the first one. This time I felt that I got to know Vera somewhat. I also liked how it was narrated by different persons, but mainly Emma and Jeanie’s father, and Vera of course. I have already started on the next Vera book, just the easy reads I need right now as I seem to be tired of the harder reads waiting for me. I’m also super excited and nervous about the new Shetland book coming out later this month. 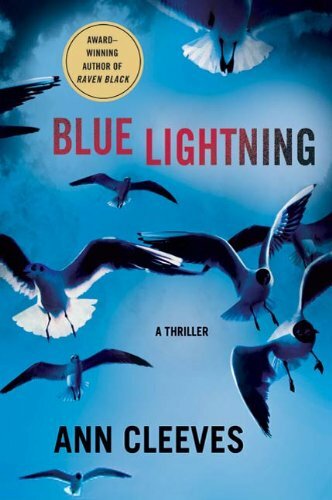 I thought that the last book, Blue Lightening, was brilliant, but also very conclusive, so I’m curious to see what brings Jimmy back. Rachael is going to do an environmental impact assessment on the site of proposed quarry on the North Pennines. When she comes to Baikie’s Cottage, the lonely cottage on the end of the road, near the quarry, she goes searching for the next door neighbour, a friend of hers, Bella, but only discover that Bella has hanged herself, to be found by Rachael. Rachael is determined to find out the reason for the suicide as she believed Bella to be happy. When the two other women who are going to help out arrive, Grace and Anne, the women don’t seem to get along very well. They all have their secrets and find it hard to trust each other. And then Grace is found murdered. 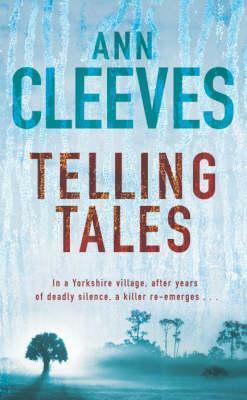 This is the first book about the police detective Vera Stanhope, but she doesn’t really enter the scene before almost half way in the book. And it was hard to get an outline of her personality as the book focused so much on the other characters. Not that it’s a bad thing. 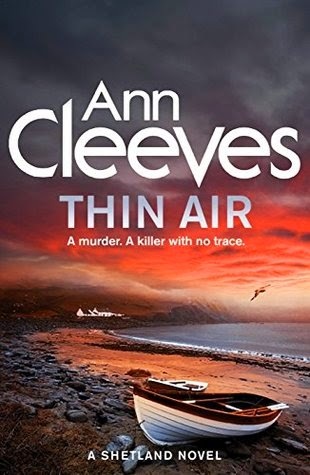 I also love how Ann Cleeves has continued with the nature theme, although I didn’t get quite the feel of the North Pennies as I did of Shetland in the previous books I have read. I guess I have to give Vera another try later. Jimmy Perez and his fiancée, Fran, are visiting his parents at Fair Isle, the most remote of the Shetland islands. But his holiday is cancelled when an ornithologist is found murdered at the bird research centre. And the murderer has to be one of the other visitors to the centre. The case is complicated by the stormy weather which means no aeroplanes and boats can reach the island so Perez is alone with the case. Who’d knew bird-watching could be so exciting and full of intrigues? And for once I actually guessed the murderer and the reason for it and who the next victims would be. I loved the reference to Agatha Christie, because the whole setting definitely reminded me of Poirot. But this is the first time a thriller has made me tear up. I could say a lot about the reason why, but that would certainly spoil it, so no. Is this the final book about Shetland and Jimmy Perez? I’m torn between hoping no and hoping yes. 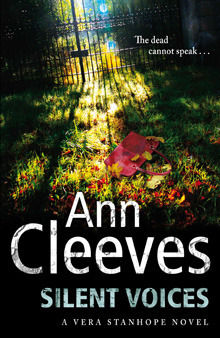 But I will definitely read more Ann Cleeves. Sandy Wilson, one of the Shetland’s policemen, pays a visit to his grandmother, only to find her shot outside her house. The Fiscal rules it as an accident, shot by one of Sandy’s relatives who had been hunting rabbits. But Jimmy Perez is not too sure if it was an accident and starts looking into it. And then one of the archaeologists who has been working on a dig by the grandmother’s house is found in the pit with her wrists slit. A suicide or a murder? The murder investigation never seems to get anywhere, but that didn’t worry me at all as I really got into the characters and the story. And I like the mix between archaeology and crime. It is a pity that it were my two favourite characters that were murdered. I like how the books get better, I hope the fourth book, Blue Lightening will be as amazing as this one.